FLIR Systems Inc. is the king of perception and awareness using thermal imaging technology. They design devices that cover a wide variety of applications from building inspections to hunting, firefighting, rescue missions, and many others. Today, we look at a very special thermal imaging camera aimed at firefighters; the FLIR K2. Built to withstand flames, this device can operate in temperature as high as 5000F for up to three minutes. Its thermal sensor and tough case blend together to make a rugged product that can manage a 2-meter drop thanks to the PPSU rubber aluminum and the flame resistant magnesium alloy housing. It boasts an IP67 waterproof rating so no worries if your hose turns on it. 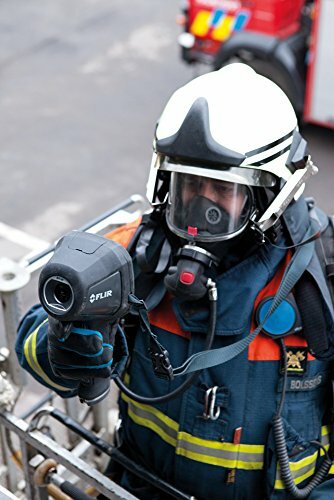 The FLIR K2 is ultralight, compact, and effortless to attach to SCBA gear. The device is ready when you are as operation is all handled by a single large button. Even with heavy gloves, you can turn on the camera and scan through smoke and other obscurants easily. It features a bright LCD that features intuitive features. It is hassle-free to operate, meaning you will never lose track of your job. The FLIR K2 is based on FLIR’s Multi-Spectral Dynamic Imaging (MSX). It is everything to this camera since it puts together a visual and a thermal image to highlight important details. This feature allows you to read labels and numbers on the things you are looking at quickly which can help save lives. For example, if you were focusing the camera on a tank, you can tell it has something in it, but that’s not the only reading you get with this camera, it enables you to read the label which can determine if the tank is carrying flammable material or id the owner is just storing extra containers of water. The built-in digital camera creates high resolution 640 x 480p images while the uncooled micro bolometer sensor produces crisp 320 x 240p images. You will view the combined thermal images on the 3-inch color LCD. This thermal imager provides seven operation modes that are all critically important in their own way. 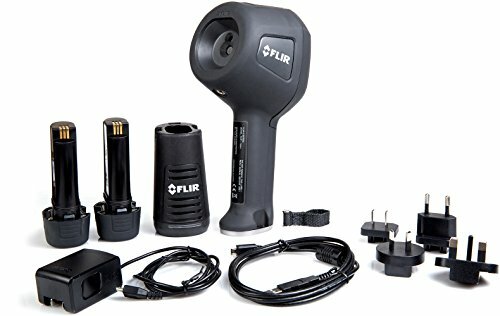 It is a thoughtful feature, but we wish there's a way of changing the image settings in the field without plugging the device into a PC and accessing the mode using FLIR software. As the name suggests, the camera is in its default setting which shows multiple situations on the screen. It is used during the initial stages as you start to attack a fire. This mode presents different heat signatures that allows you to engage in control of the fire and rescue at the same time. It automatically toggles between the high and low temperatures to maintain an optimal image for the problem at hand. At the same time, the camera will also show a safe, consistent, and correct representation of the fire image. Its high sensitivity range is from -40to 3020F while the low sensitivity range is between +320to 9320F. Its colorization of heat is usually between +3020to +9320F. This mode is based on the basic setting only that it is in black and white. If you do not want to see a color picture, then this mode is ideal for your situation. This mode has a higher temperature starting point than the basic mode. It is useful when the background temperature is also high in situations where there are multiple fires. It will alternate between the low and high sensitivity temperatures while maintaining an optimal fire image. This mode colorizes heat in temps between 4820to 9320F. The high sensitivity range is from -40to +3020F and the low sensitivity range is from 320to 9320F. This mode’s sole purpose is to find trapped individuals in a fire scene. As such, it works to maintain highly contrasted thermal images that make it easy to distinguish between buildings, the fire, landscape, a car, and other things that are in the same environment as the persons who have been trapped. It operates in a high sensitivity range only between -40to +3020F, and the colorization of heat is between 2120to 3020F. This mode is vital for identifying hidden spots during overhaul. You will want to know if you have extinguished the fire fully, that’s why finding the hot spots is essential. It also comes in handy during search and rescue since you will be able to tell if you have found everyone in an accident or open landscape. The heat detection mode also operates in high sensitivity range only with heat colorization being at 20% that of the highest temperature in the scene. This mode finds the airflow which allow firefighters to vent a fire to prevent backdraft and flashovers. It operates similarly as that of the heat detection mode in high sensitivity range only. For building inspectors, this is the mode you will use to analyze a structure. It allows you to find moisture intrusions, insulation leaks, and other defects that affect the comfort of a home. The camera displays different temperatures in various colors. White represents the hottest areas while black, purple, and blue show the coldest regions. Yellow, red, and orange indicate midrange temperatures. This thermal imager runs using two rechargeable batteries. It comes with a USB cable to recharge the unit. The cells can also be recharged outside the device using a dedicated charger. The running time is around 4 hours and the charge time is 2 ½ hours to 90% charge. It has an automatic sleep and shutdown function which helps to prolong the battery life. 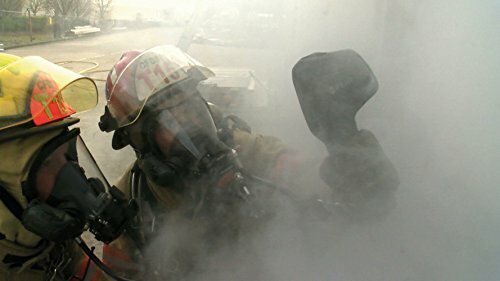 The FLIR K2 is every firefighter’s tool for accessing smoky buildings, safe navigation, rescuing victims and finding out the best strategy to approach a fire as fast as possible. With six dedicated firefighting modes, it’s all about saving lives and working smart. The rugged design, MSX imaging, and intuitive controls more than justify it a top pick to be in the hands of a firefighter.